What is house music: House music, named after the Warehouse club in Chicago where it originated in the early 80s, is a genre of electronic dance music. Derived from disco, house music has developed into a new music style by mixing other sounds like synths, electronic drums, pop, electronic effects, and funk etc. 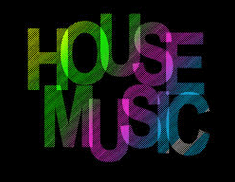 House music is a kind of dance music which can be combined with other music genres easily to create new sound, like disco house, electro house, and tribal house. It's lucky for all the house music fans today to have fabulous house music which is created by talented musicians with plentiful instruments. It actually will be even better to download house music and transfer it to the mobile devices as this busy world does not allow too much time to enjoy some house music online. Here we round up some best house music songs 2014 has offered as well as a simple solution to download house music 2014 with a powerful music downloader. Now, get ready to relax and shake you body with the music. Tired of the dull, tedious and mechanical life? Check out the best house songs 2014 list below and indulge yourself to the music utopia. The greatest hits of the best house music songs 2014 includes the latest songs 2014 featuring artists across the world and will bring repetitive rhythms and beats in which all your worries and complaints will vanish away. The above house music 2014 is just a drop in the ocean compared with the rich house music resources. You can just go to the largest video and music sharing site YouTube to find some more. You will surely get relieved from stress and your mind fresh by listening those music. However, as mentioned earlier, the endless buffering and annoying ads will be maddening in an age where time is money. To free download house music 2014 and store it in you mobile devices to play it anywhere anytime thus seems to be a wise choice. To save your time and energy looking for the right tool to download house music 2014, here a totally free software which is specially designed for Mac (Yosemite included) users to free download house music as well as other videos and movies from YouTube named MacX YouTube Downloader is high recommended. This free YouTube downloader has an excellent ability to download videos with different resolutions and formats from YouTube, be it common video or HD videos in 720p, 1080p or even 4k ultra HD, like FLV, 3GP, MP4, WebM, RM, etc. Furthermore, it can automatically add the output MP4 music videos to iTunes Library which means that you can directly put the downloaded house music to iPhone, iPad, and other mobile devices for enjoyment on the go. Below is the step-by-step guide of house music free download. Step 1: Run and install this house music downloader. Copy and paste the URL of the house music on YouTube. Or just click "analyze" to load the song's information. Note: In addition to house music 2014, you can freely download any resources available on YouTube, such as YouTube movies and YouTube cartoons, as well as other videos shared by users like gay videos, funny baby videos etc. Step 2: Choose the video format, resolution and file size. You can download the house music songs in FLV, MP4, WebM formats. Step 4: Click "Download Now" to start the process of house music free download. If you want to add the downloaded house music songs to iTunes as MP4 format for playing or editing after finishing the task, you can check on the button of "Auto add MP4s to iTunes". For users who have more needs, like those who want more formats, they may turn to MacX Video Converter Pro, the higher version of the above free downloader. In addition to the powerful ability to free download house music 2014 as well as videos and movies from YouTube, this video converter can actually record music and videos from all the sites with extremely high quality. Built-in 359 output profiles, it can freely convert the downloaded house music video to different popular audio formats like MP3, AAC, iPhone Ringtone, AC3 etc and video formats including AVI, MPEG, WMV, MP4, FLV, as well as directly to almost all the portable devices on market like iPhone 6/5S/5C, iPad Air, iPad Mini with Retina, Apple TV 3, HTC One, Samsung Galaxy S5/S4, Galaxy Note 3/10.1 etc.